We the Arcturians want you to know that all your needs are always met, but you must remember to ask because Earth is a free will planet. Therefore, you will be called upon choose the reality in which you wish to experience. You actually did choose your reality when you first took embodiment on Gaia, but since you have entered Earth’s third-dimensional matrix, much of your “free will” was forgotten in your struggle for survival on a third dimensional planet. Hence, we will assist you NOW to remember the reality that you first chose to experience. And “sit back and relax” while your multidimensional mind takes a beautiful tour through the possible realities that you may soon be choosing to inhabit. Now as you let your mind just drift, relax… feel how your mind is expanding exponentially – such as two, four, eight, sixteen and on and on – duplicating, duplicating. Note how your expanded mind can contain all of that powerful information as you go on your journey. You are choosing to perceive a reality that has before this Now was beyond your comprehension. Allow yourself to perceive that which you cannot yet comprehend. You will be called upon to live in this degree of faith in yourself – in your own multidimensional self and in your beloved planet Gaia. And as you perceive this incomprehensible reality experience the power that you have to move into perceive, accept and embrace the unknown. You know the unknown that you are choosing because it will resonate to the frequency of Unconditional Love. Feel the Unconditional Love that you have within yourself that you have for yourself. For how can you give unconditional love to others if you do not have it for your self? Feel that Unconditional Love that you have for yourself and you let it precede you, protect you, guide you, hold you, warm you, embrace you. Allow yourself to travel into your own inner silence, into your own potential of what you will hear, what you will see, and what you are in the process now of becoming. Oh beautiful humans, if you only knew what was in store with you, the excitement would probably be a distraction. We don’t want you to do this for the exciting adventure that you will personally experience. If this is something that you are personally having, then you will not have the expanded collective consciousness that is SO vital for you to take a journey such as the one that we are presenting. In fact, in order to take this journey that we have presented, you need to have your planetary consciousness. So we ask first that you see yourself as a person – just a human third dimensional Earth, Air, Fire, Water, and Ether person. That takes you into your fourth dimensional person. 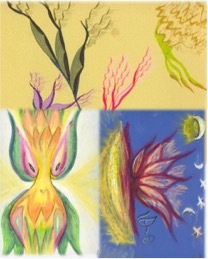 Feel you innate creativity, remember your dreams, and enjoy the FEEL of Nature and how you can communicate with all life. Now you feel the higher Light blast through you, as you become your fifth dimensional Lightbody person. But, if your Lightbody is not grounded deeply, deeply in the Core of Gaia you will not be able to contain it. Hence, feel your Lightbody move down, down, down into the core of Gaia and deep into the Core of Gaia’s Central Crystal and Her four Cornerstone Crystals. Now, see the gathering crowd of all Lightbodies of Elohim, of Angels and the Angelic Kingdom, of the Galactics of all the Galactic Worlds, of beloved Venus, of the Ascended Masters, of the Planetary Logos and all the wonderful Lemurians. Join the party. Feel that party. Take the Core of yourself right now and ground it into Gaia’s core crystal. As you ground yourself into Gaia’s core crystal you are Gaia. You are the planet Gaia. And from that Core Crystal you feel how the Higher Light goes into the North and all the Northern worlds of Gaia. Feel how the Higher Light goes into the West and all the Western worlds of Gaia. Feel how the Higher Light goes into the South and all the Southern worlds of Gaia. Feel how the Higher Light goes into the Eastern worlds of Gaia. This is what is occurring right Now. Right Now, all that you have just experienced sharing your perceptions with your higher states of consciousness in this moment of Now. Share this inter-dimensional experience with your Astral body, which is your fourth dimensional dream body, and your aura, your higher aura that surrounds you. NOW consciously open wide that portal and see that portal like a sun roof in your car, or a sun roof in one of the rooms of your house. See the Light as it comes in through that portal and in through your crown and moves forward to be displayed on your inner mind screen of your third eye. AS the Light moves down through your throat, it primes you for sharing what you are experiencing. We need you all to share your information for information that is not shared deteriorates and dissipates because it needs the life of sharing from person to person, and from being to being. If you share with your plants, that is marvelous. If you share it with the animal kingdom, that is marvelous, if you share it with the elementals, that is marvelous, if you share it with the ethers, that is marvelous, if you share it with people, that is marvelous. We do not care how you share, we just ask you to please share. Take this energy field and put it into circulation throughout the body of Gaia. As you continue sharing from your throat chakra, you fully activate your High Heart, which is between your physical heart and your heart chakra. Opening your High Heart opens your greatest healing abilities. But the healing ability cannot be used on just your self. Your healing abilities must be circulated, as it is through sharing with OTHERS that you find your SELF. Also, whatever you share what goes out comes back. That is how Gaia works. Gaia is a cause and effect planet. If you want to heal yourself, heal others. If you want to make yourself rich, make others rich. Teach what you want to learn. Give what you want to receive for the energy that goes out is the energy that returns. And you store that energy in your heart and you pull it into your third Chakra where you communicate and share and into your second chakra where you ground it in the mechanisms of your body and where all the waste materials from your physical embodiment and from your psychic embodiment are released. And surround that second chakra with the Violet Fire to blaze, blaze, blaze the Violet Fire transmuting all shadow into Light, Light, Light! And take that wonderful Light through your first Chakra back into the core of Gaia and giving her an even more wondrous gift of the higher Light that you are receiving – you plant into Gaia. And you become the Planet. YOU are Gaia and Gaia is YOU! 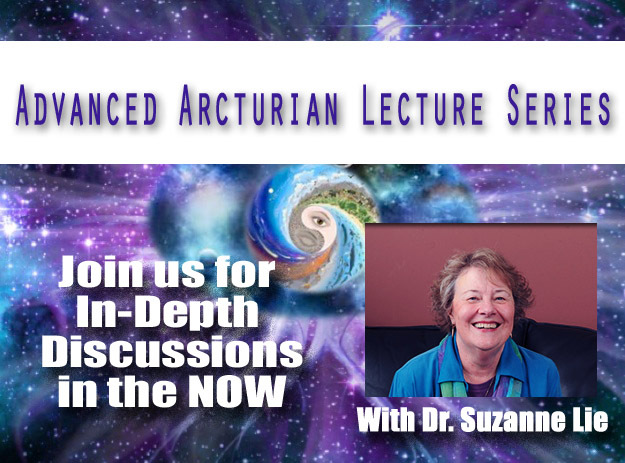 Will you join us for the upcoming Advanced Arcturian Lecture as we discover what the Arcturians will share with us in this very important NOW? You have a lovely blog. Greetings from Montreal, Canada. what i now cant so vividly objectively explain.. Yes, we are planet. But why can't we accept we are Love? I made a recording of it and did it while standing up so I could stay grounded/connected to Gaia to receive the full benefits instead of just a cheap thrill. It's Fantastic and its building itself up every time I practice with the recording. It feels peaceful, calming, different kind of grounding feeling yet energizing at the same time. The serpent has been rising up my spine all day long and I feels different.